Finally Microsoft has made it official. 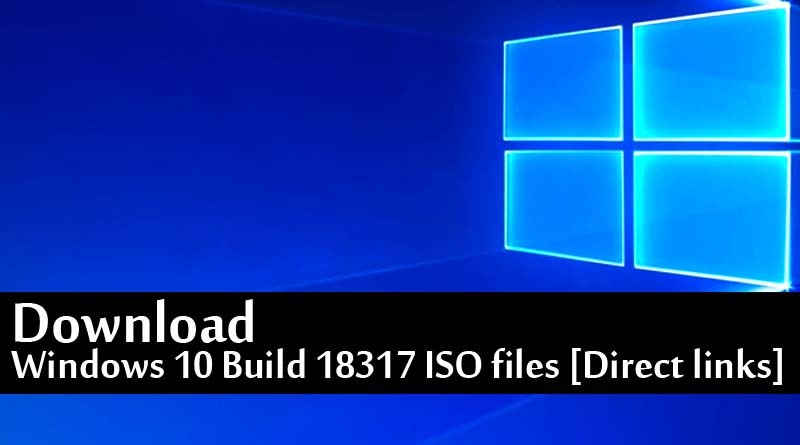 Windows 10 build 18317 ISO files are now available for download. Microsoft has made lots of changes and updated with all new 18317 built. Users can download new released IOS Windows 10 built 18317 from here. This new update has been released for all the editions of Windows 10 including Home, Pro, Cloud, Education Editions and Enterprise. Surprisingly user can get all the updates in a single ISO file. However there is separate ISO file for 32Bit and 64Bit version of Windows 10. For latest updates from Android , Windows and How-to Guides make sure to subscribe our newsletter by simply providing your Email-ID in the box below. ← Chromium vs Chrome Browser, Which one is Better?